We speak with Stephen Becker, President and CEO of Stephen Becker Automotive Group. 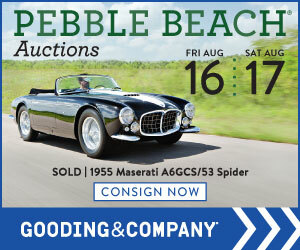 Topics include record setting Shelby auction sales, vehicle inspections, valuation and much more! We speak journalist and collector car expert Andy Reid. Topics include collector car auctions, insurance, his personal cars and more. 30-minute episodes focused on your business and expertise.